Here we go with Day 3! I have another fabulously talented group of ladies joining me again today, the design team at StampNation are my guests! I have had the opportunity to work with them on a couple occasions as a guest designer--currently I am guest designing in their online class A Very Trendy Holiday 2.0. More details on that below. 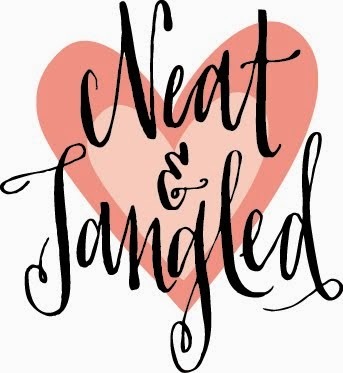 I am posting a photo of their tags along with a link to their blogs, visit each one of them for more details on their tags and for another chance to win the giveaway at each stop. See the bottom of my post for what you need to do for an entry on my blog post today. Even Santa wears Christmas pajamas! I backed my tag with red cardstock to add stability. StampNation members get an additional $10 discount. Leave me a comment telling me if you have ever taken an online paper crafting class before for a chance to win one of the prizes! Thank you ladies for sharing with us today! These are all fabulous! LOVING the belt on yours!!!!! I have never taken an online class but they do sound interesting. What a fun tag with all those sweet Santas...just too CUTE! Very cute tags ladies! Tracey, I love your Santa paper in the background! Have a fun Wednesday and thanks for doing this, I enjoy seeing other peoples Christmas tags! Wow! Wonderful tags from each of these ladies, today! Amazing talent! Every one of these tags is so good! I love them...your cute idea to make a belt...and the speech bubble looks like Santa's beard? Unbelievable! So well done. 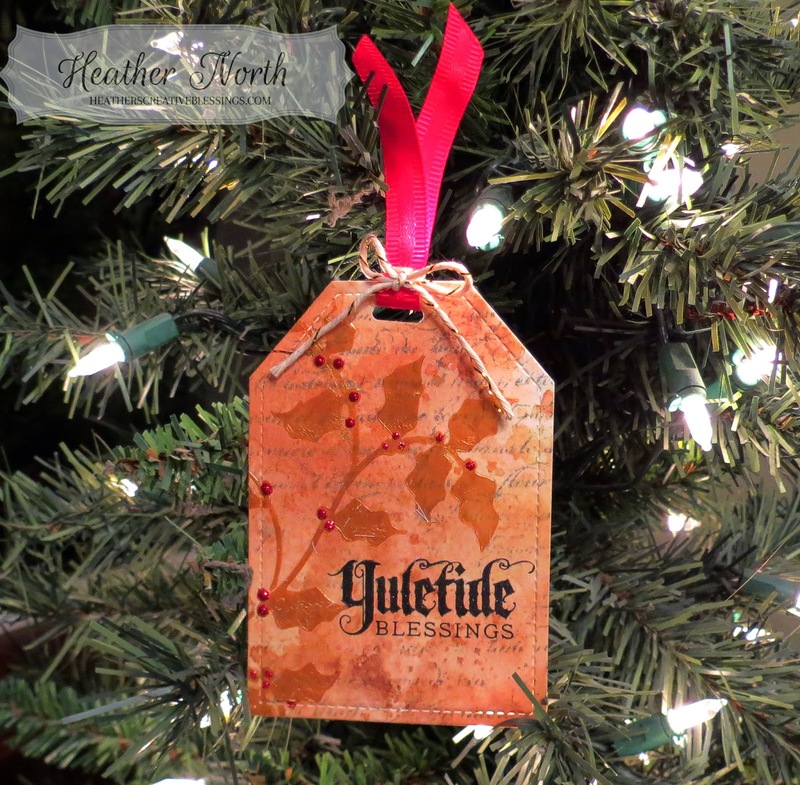 Love your yearly tag project Tracey! Yes!! 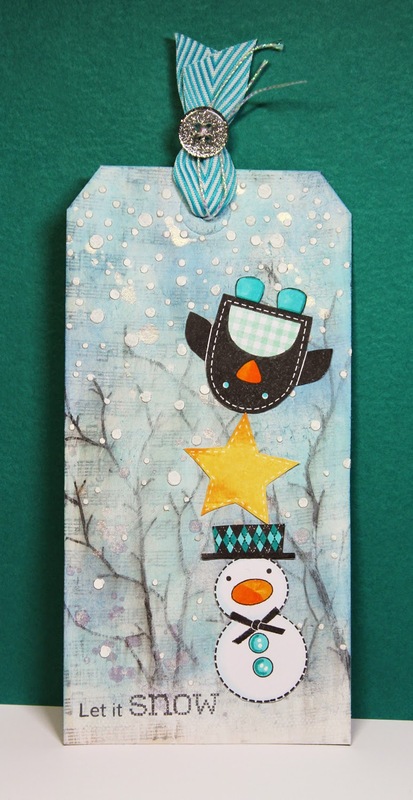 I won the Watercolor for Card makers' Class... and love your tag!!! What a great array of tags. Love your Santa tag and the awesome belt. love all the inspiration! I have taken one online class for clean and simple cards. Looking forward to see what you have going on tomorrow! Nope.... never taken an online class, but been tempted many times! So cute Tracey! Have you seen that video of the family singing in their Christmas jammies? 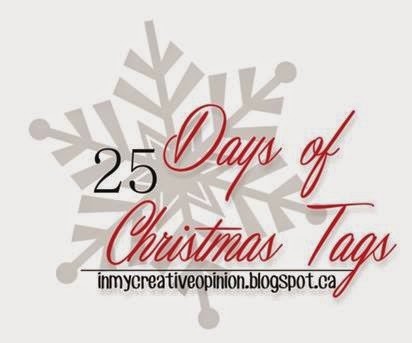 Thank you for letting us be a part of your 25 Days of Christmas Tags, Tracey. Wonderful tags from everyone. Your Santa tag is adorable! Yes, I've taken online classes. Several. I learn something every time! Oh my... Santa PJs... you're so clever Tracy! Love it! Oh my, what cute tags! Love yours tracey! I taken one class - I was lucky enough to win it! It was great and I would definitely do others if I had the time. Oops! I forgot to say what a wonderful group of tags!!! So inspiring!!!! Another fantastic line up of tags!! LOVE LOVE your santa tag, that belt buckle is too much FUN!!! Great tags. Love them Tracey! These tags are so awesome. Just too cute. Tracey, I've just come back from 'hopping' to see today's designers' tags up close and WOW! You have found an abundance of tag-making talent in this crew and those from yesterday. In awe! Needless to say, my tag inspiration is exploding! Your tag: only way toooo darling! The speech bubble and belt combo: sweet! As for online card classes: love the ones I've taken and I'd 1,00000000% love to take more. I'd be a very good student *grin* because I have ever so much to learn! Thank you so much for sharing everyone's tags with us today...Your tag is amazing, Tracey! I love the speech bubble and how you created the belt and buckle! So clever! How cute is Allison's tag, so very fun! I have take online classes and love them, especially if they come with lots of videos! aww how fun.. loving all these adorable tags.. i love when you have your famous tag celebration..
Super cute tags today! Love your Santa PJ's!! I love the Online Card Classes and am currently taking the Holiday Workshop one! Another fabulous collection of tags ... kudos! Love your post today...so many tags, so much wonderful inspiration. 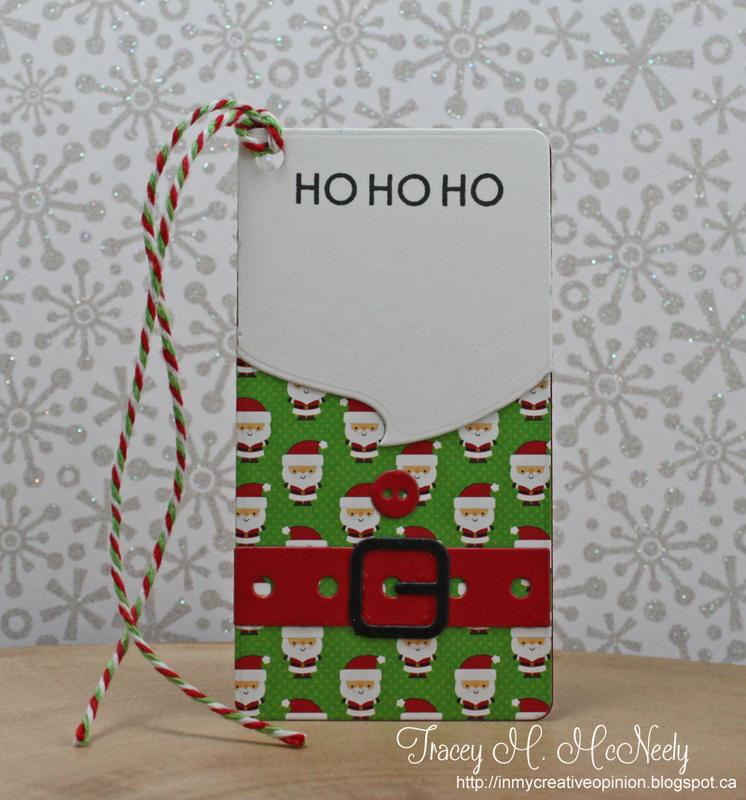 Your sweet Santa tag is as cute as they come. I have taken a few online classes. I have taken on online class before--in fact several--through Online Card Classes! They are awesome! Wonderful inspiration today and I just love the Santa pajamas! Too cute! Nope..never taken an online class before..sounds fun! Incredible inspiration today. I love seeing so many amazing tags in one place. Your pinterest board this year will be huge! Love your cute santa tag. And, YES--I have taken on line card classes....my fave is when you take them with me. I have taken an online class! enjoyed it very much, but I remember I got really sick and fell behind. love that you can go at your own speed and can have access to the lessons at a later date! WOW - such talent! I'm in awe of everyone's personal styles. Great inspiration. Wow, so many adorable tags today! 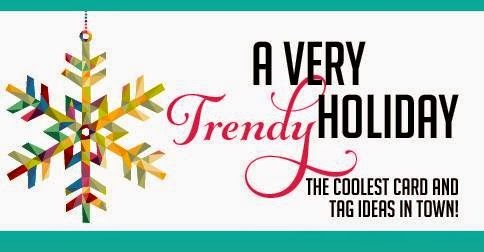 And I love your Santa design--such a fun tag! Unfortunately, I've never taken an online class. I have been tempted several times as they often sound so wonderful. Hahaha, LOVE your santa in pjs ... that is so cute and CLEVER! I've enrolled for 2 classes, but have only taken 1. Sadly, the other one I didn't keep up with when it was going on and I never went back to it. I need to, I really enjoyed the first class I took! So many gorgeous tags again, amazing!! I'm about to watch Day 3 of the Online Card Class for Holiday Cards. I've been extremely lucky and this is my 4th online class and have loved every single one. Would totally recommend them, especially to newbies to card making like me!! Today's tags are so cute. I have never taken an online class but they must be wonderful especially for those who can't get to a shop or who have time constraints. Nope, I've never taken an on line class. All the tags are great and so much inspiration. I took Stenciled at OCC and loved it - learned so much. Cute, classy, fun and inspiring - love them all! Yes I have taken an online class on stamping. More awesome tags ladies. Tracey, that sweet Santa tag is just too cute! I have only bought one class (I payed for it after the live class was done, but haven't taken it yet) in my whole life... so no. No, I have never taken an online class, but would LOVE to to! I have never taken an online class but a Copis class is on my to-do list. Love all these great tags, especially the sweet bunny tag. Someone just gifted me this set and I am grateful for the inspiration! Wow, talk about perfect tags!!! Your Santa is adorable. FABULOUS, FABULOUS tags from all!!! Oh my gosh, that Santa Pajama tag is so clever and so incredibly cute! Whoops, I submitted my comment before I finished it! I have never taken an online class before, just in-person classes. Beautiful tags! Yes I have taken online classes and loved them. I have never taking an online papercrafting class but it sounds like fun! Each of these tags are awesome today. 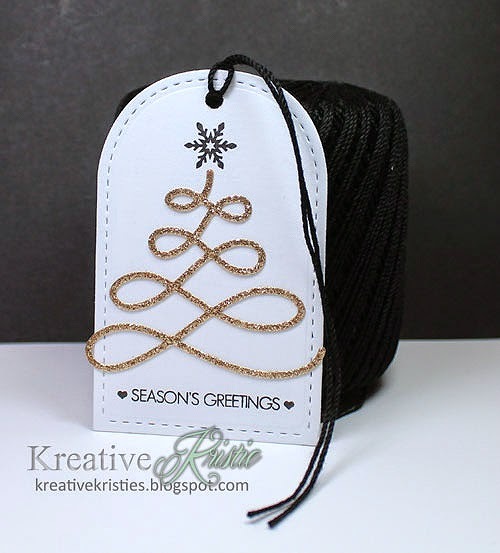 LOVING the CREATIVE tag INSPIRATION!!! Yes, I have participated in an online class - True Stamp 2014 - it was so exciting, fun & informative ... I still have techniques I want to try from it!!! I've never taken an online class. I get so many ideas from blogs like yours that I never seem to have time to sign up for a class. LOVE your CUTE tag. Thanks for sharing. I have not taken any online classes. Wonderful tags...love your choice of the cute pp with the tiny santas. I have never taken a on-line class but Ive seen so many good ones recently. Very cute. Love Santa's Christmas pjs. another awesome day of tags!!! great ideas! Fabulous tags! I am loving all of the inspiration! I do take online classes and have learned lots of good info from them! Booy this series just keeps getting better & better. Pretty awesome designers you have here. I love your pajamas for Santa tag! I have taken a few online classes for card making. I really enjoy them and get a lot of inspiration from the teachers and their techniques. yep, two! and they were fun...like these tags! Oh, I like this tag even more. I want PJs like that. And I've taken two Online classes and they were really well done. Thank you for all of this incredible inspiration! Wow! I have never taken an online class, but I have it on my wish list for sometime in the near future. Another great day of inspiration. I take online classes all the time. I love them! I have not taken an online paper crafting class before but I would LOVE it! I love seeing all the tags here - so many different shapes! 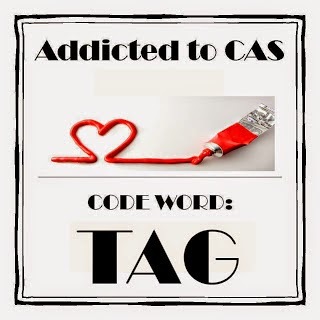 I am enjoying all of your submissions to ATCAS that you have created for your 25 days of Christmas tags! I love taking online classes! Love your tag....such a cute idea . the paper, cord beard everything down to the santa belt. Loving all the inspiration ! LOVE the santa pajama tag !!!! So cute and creative! No, I've never taken an online class. I have taken a couple online classes. They offer such great techniques. But the talented designers make products so tempting that it is hard on my pocketbook! Super cute and fun tags - love them all. 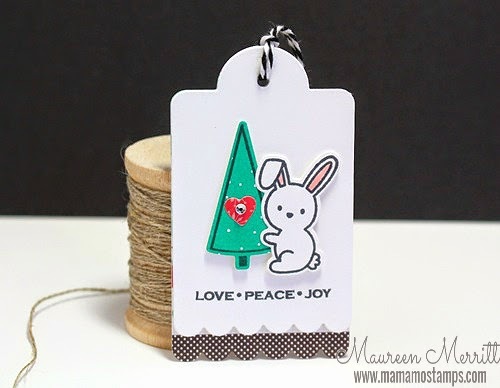 Such fun tags - love the bunny and the snowman. I have never taken an online class. I have taken the stretch your stamps class at online card classes & loved it. I'm signing up for the creative chemistry next! I've never done a "live" class because I don't have reliable internet. I've taken two and loved the watercolor class the best--learned a lot! Just going through your blog. I love online classes. I am taking A Very Trendy Christmas slowly, and have taken many Online Card Classes, and a couple from Annie's Attic. I am enjoying the many tags! Oh how cute! Nope I've never taken an online craft class!